Hubert L. Dreyfus is Professor of Philosophy in the Graduate School at the University of California at Berkeley. His publications include On the Internet (2001), What Computers (Still) Can’t Do (Third Edition, 1992), Being-in-the-World: A Commentary on Division I of Heidegger’s Being and Time (1991), and Mind over Machine: The Power of Human Intuition and Expertise in the Era of the Computer (with Stuart Dreyfus, 1987). Mark A. Wrathall is Associate Professor of Philosophy at Brigham Young University. He is the editor of Religion after Metaphysics (2003), Heidegger Re-examined (with Hubert L. Dreyfus, 2002), Heidegger, Authenticity, and Modernity (with Jeff Malpas, 2000), Heidegger, Coping, and Cognitive Science (with Jeff Malpas, 2000), and Appropriating Heidegger (with James Falconer, 2000). 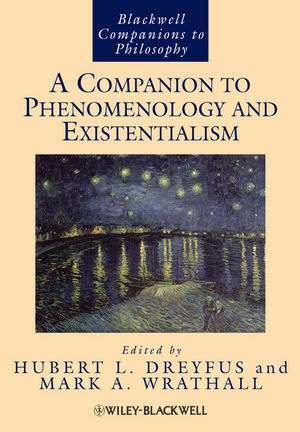 Hubert L. Dreyfus and Mark A. Wrathall are also the joint editors of A Companion to Heidegger (Blackwell, 2005).